Next time you host a gathering in your home, make sure you don’t skimp on one major item. I’m not talking about beer or snacks. But about the items of furniture that form the center of good times — Pub Tables: Center of Food, Drinks, Games and Fun. Looking for Pub Tables: Center of Food, Drinks, Games and Fun? Check out this Arts and Crafts Pub Table. As the name indicates, pub tables originated in pubs, short for public houses in England. Because these pubs serve as the gathering spot from the community. So they’re places to drink a pint, eat a snack, catch up on the news and have a great time. And the pub and counter tables from Brandenberry Amish Furniture are created to keep the good times rolling in your home. The first thing you’ll notice in Brandenberry’s pub table and chairs collection is the variety of styles and designs. In fact, the lineup includes Mission and Shaker styles, plus traditional pieces. Also, Brandenberry includes modern, innovative designs. So whatever your tastes in furniture, you’re sure to find pub tables to meet your desires. In addition, Brandenberry has a wide selection of bar chairs to go with your chosen pub tables, if they’re not already part of the set. Yet, all pub tables in the Brandenberry collection have one thing in common. Amish cabinetmakers build them all. And the Amish men use solid hardwoods like maple, cherry and oak. In fact, with the proper care, your pub tables will serve as the nerve center of fun in your family for generations to come. Wish to adapt the pub tables of your choice? No worries. Just tell us how you’d like to customize your tables. Select your wood specie, finish, final size and special features. And we’ll ship them direct to you so you can get started on more fun times in your home. 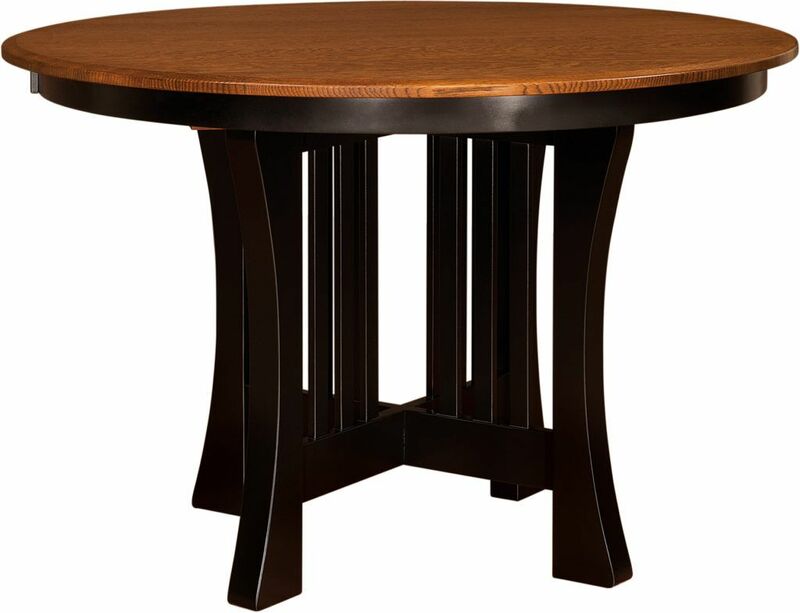 To view the lineup of solid wood, Amish-built pub and counter tables, check out Brandenberry Furniture’s online store. Or, visit their ‘brick and mortar’ store in Shipshewana, Indiana. And talk to their expert customer service staff about creating custom-made furniture for your home and lifestyle.